Kyoto is one of the most popular tourist spots in Japan, and beyond its historic temples and shrines, it's famous for its traditional Japanese cuisine and Japanese sweets as well. There are various cafés around Kyoto that blend traditional Japanese culture with today’s latest trends. Here are 10 cafés that you should visit when in Kyoto! Ujicha Dojo Takumi no Yakata is one of the 23 Ujicha (green tea) cafés found in Kyoto. It is, however, one of the best amongst them, and all the staff at Ujicha Dojo Takumi no Yakata are licensed to handle Japanese tea. Simply said, they are Japanese tea experts. There are four different types of Ujicha you can enjoy in Ujicha Dojo Takumi no Yakata - the Uji Matcha, Uji Gyokuro, Gyokuro Karigane and Kabuse Cha. They are all great green tea that will let you experience the best of Japanese tea culture. 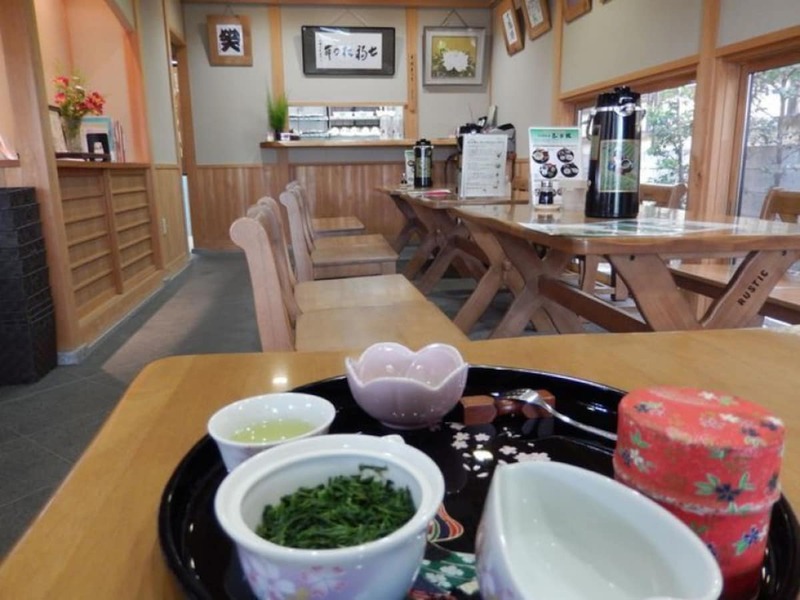 This is a great café for those who want to learn more about Japanese tea in Kyoto! Nakamura Tokichi was also opened during the Edo era and two of the buildings from the Nakamura Tokichi branch are actually designated as Important Cultural Landscapes of Japan. Nakamura Tokichi is most famous for the Namacha Jelly which comes in two different flavours - Matcha (green tea) and Hojicha (roasted green tea). Both flavours fantastically draw out the bittersweetness of the teas. Together with the chestnuts and red beans served, they will definitely be an experience to remember. You can also have these jellies to go if you are in a hurry, and they will be perfect as souvenirs too! We introduced earlier the Zen Café that was opened by Kagizen, now it is time to introduce you to its main branch! Kagizen was opened during the Edo era (year 1603 - year 1868) and their Kuzukiri has been satisfying customers for hundreds of years. The Kuzukiri is a type of long Arrowroot mochi that is shaped almost like a noodle. When you order the Kuzukiri at Kagizen, you will be provided with a bowl containing black sugar syrup. The way to eat the Kuzukiri is to dip it into the black sugar syrup - much like how you eat your zaru soba noodles! The cold sweet syrup together with the soft Kuzukiri is fantastic. The Kuzukiri is rather slippery so make sure your chopstick handling skills are up to par! 7. You have to visit Sei-en cafe if you are going to Rokkakudo Temple! Sei-en is a Japanese café built in 1885 and it is located near Rokkakudo Temple, one of the famous temples in Kyoto. It has a very simple design both on the outside and inside. Neither grand nor luxurious, the cafe accurately depicts the long history it holds. 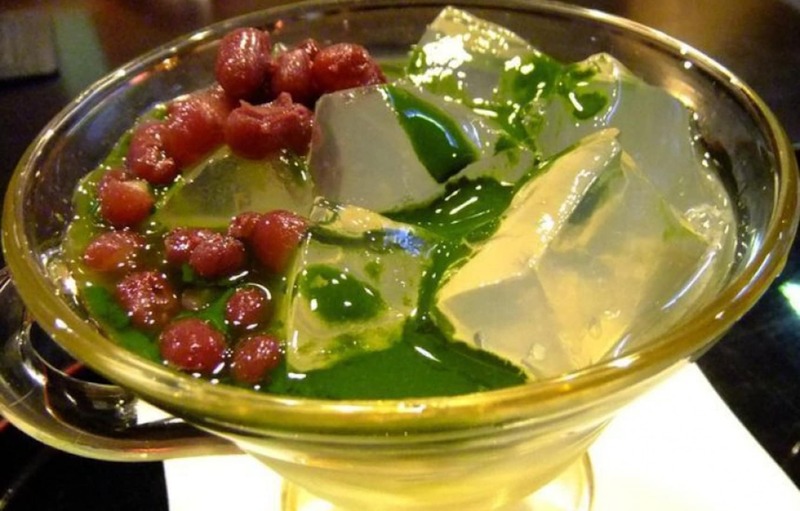 The café is best known for its dessert called Kohaku Nagashi - Agar with toppings such as honey and red beans. The Kohaku Nagashi served at Sei-en changes every month and describes the seasons in Kyoto. Shown in the photo is the May theme, Matcha. The soft Agar is topped with delicious Matcha syrup and red beans, creating a fantastic harmony of sweetness in the mouth!